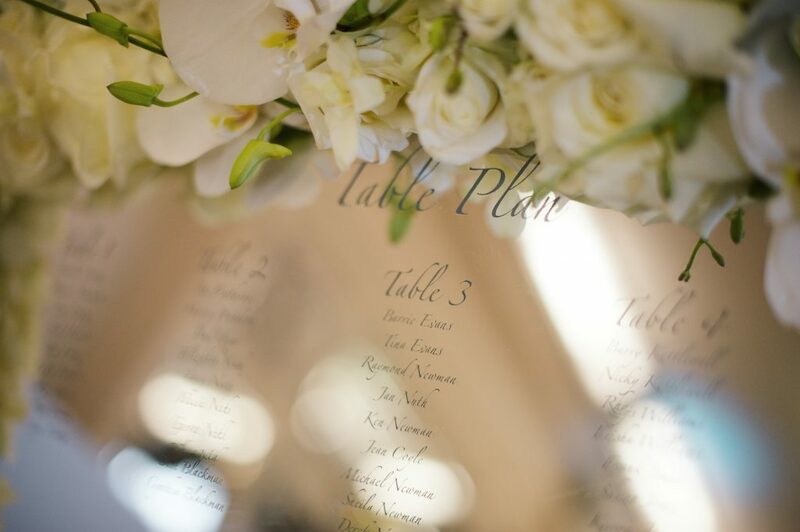 Working with the incredible team at Cutture, we created a silver mirror laser etched table plan which welcomed guests. 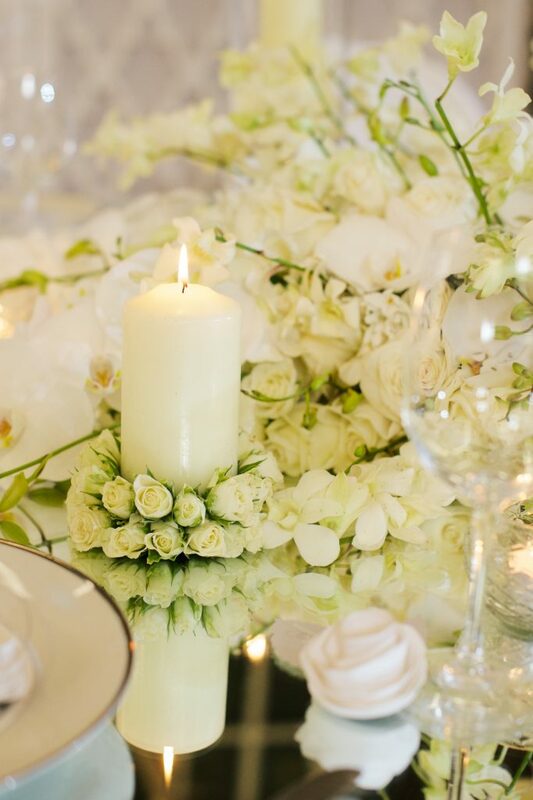 This was surrounded by an opulent and abundant mass of luxurious white roses & orchids to create a chic and timeless look. The use of mirror continued throughout the whole day as we believe it is oh-so-chic and works incredibly with textures of white. 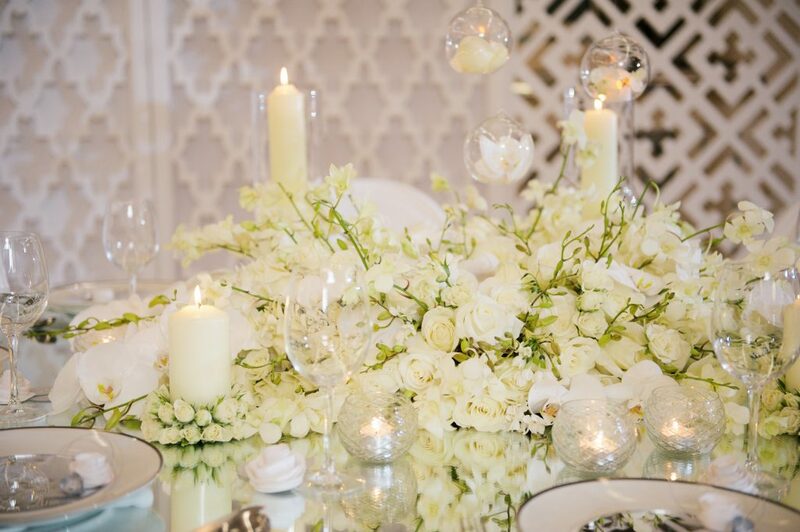 Mirror table tops refracted light from around the room to add a further sense of luxury and opulence while low designs crafted from hundreds of white roses, spray roses & orchids nestled in the centre of each table to create the most effortless dining experience. Cascading from above, clear glass globes, each filled with individual orchid flowers veritably “rained” over the tables to add a final finishing flourish! Taking each table design one step further, candles in mixed vases were scattered throughout alongside pillar candles dressed with miniature spray rose halo’s. Adding this extra detail for us, creates interest and delight for all your guests to immerse themselves in throughout the whole evening. 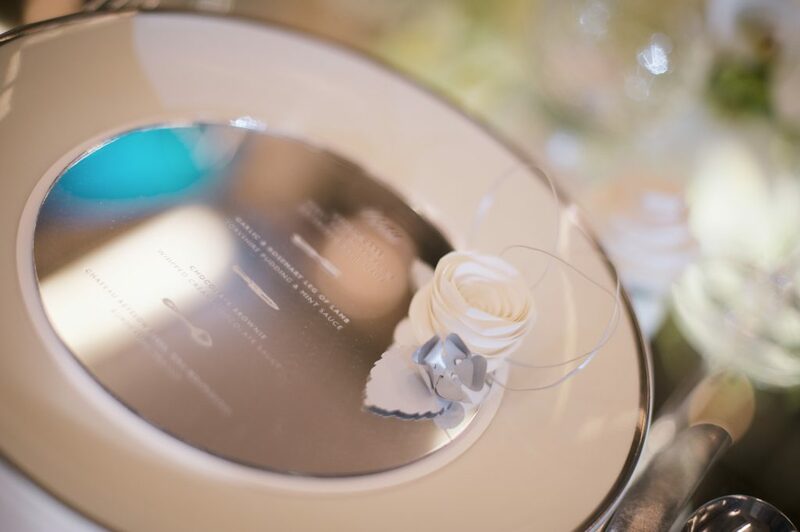 The fantastic team at Cutture then continued the use of mirror and roses by laser-etching menus on discs of mirror and creating white paper rose name place cards.